ECDPMCan cities pave the way towards a sustainable future? Can cities pave the way towards a sustainable future? Heijden, K. van der. 2015. Can cities pave the way towards a sustainable future? 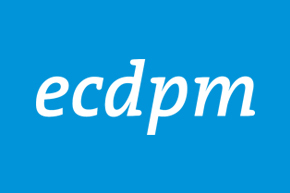 ECDPM Talking Points blog, 3 December 2015. With rapid urbanisation, cities are at a critical juncture. They have always been a major driver of economic growth, yet urbanisation brings major challenges. In 2016 we have an opportunity to promote a new model of urban development that is able to integrate all facets of sustainable development and promote equity, welfare and shared prosperity. The important role that cities can play in development has been underlined by the UN’s 11th Sustainable Development Goal which is devoted to making ‘cities inclusive, safe, resilient and sustainable’. In the first of our series of blogs ahead of the 2016 Challenges Paper – released on January 4th 2016 – Kitty van der Heijden, Director of the World Resources Institute Europe, shares her perspectives on the challenges for sustainable development in 2016 and beyond. Urbanisation and growth in GDP are closely correlated. Inequalities occur in many areas but they are frequently consolidated in the space of slums, in which many are trapped. There are now roughly one billion people around the world who live in slums – including a third of the population of the developing world who contend with economic, social and physical exclusion. The investments made in cities right now will shape forms of urbanisation and critical infrastructure, embedding a carbon footprint and influencing the chances of the poor to achieve a more prosperous and dignified life for decades, if not longer. Sustainable development: what, where and by whom? Cities now consume about 75 percent of the world’s energy and global CO2 emissions. Vulnerability to climate change is increasing as cities expand into disaster-prone areas. Cities in less developed countries are projected to bear 80 percent of the total cost of adaptation. A rise in sea levels and global temperatures pose serious threats, especially in densely populated deltas. Disasters that have a rapid onset – like storm surges, flash floods and tropical cyclones – can endanger these low-lying settlements, as is the case in East Asia and the Pacific. Urban air pollution accounts for 1.3 million premature deaths around the world every year. None of the top 50 cities in the world by population size meet the air quality standards of the World Health Organisation. India is home to 13 of the 20 most polluted cities in the world and in this transport accounts for a third of the total greenhouse gas emissions. The rising number of road fatalities is testament to the fact that the car market is growing faster than that of India’s population. An extra 2.5 billion more people will live in cities by 2050. Cities will have to accommodate 1.3 million new inhabitants each week for the next 35 years. A World Bank report suggests that ninety percent of the growth in urbanisation is expected to be in developing countries, with African cities among the fastest-growing in the world. The rate of urban construction over the next 35 years could equal that which has occurred throughout history to date. This unprecedented pace of urbanisation is putting heavy demands on urban services such as housing, transport, energy, water supply and sanitation. It is affecting quality of life, and increasing vulnerabilities to the impact of climate change. Rapid, unplanned and uncoordinated urban development is resulting in the explosion of slums. 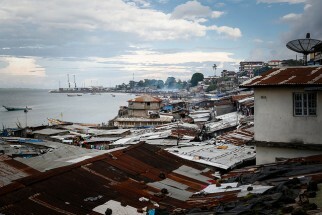 According to UN HABITAT’s 2013 Global Urban Indicators Database – slums are now home to to nearly 1 billion people. The way we urbanise is simply unsustainable. Swift action through informed policy is needed to avoid the ‘lock-in’ effects of unsustainable development and urban growth based on a low carbon pathway. The growing concentration of populations in urban areas also represents an unprecedented opportunity for innovation in sustainability. 75 percent of the urban infrastructure that is predicted to be built in India has yet to be constructed. How they are built will determine whether global climate change can be brought under control and define the prospects of a brighter future for many people. Rapid urbanisation can mean economies of scale in deploying low-carbon technologies, and it can mean building sustainable cities through investment in efficient infrastructure. Infrastructure in its urban form should have the lowest possible resource intensity and inclusive public services that meet the needs of the poor. Building sustainable, livable and resilient cities will require policy changes. Land and housing regulation with market-based incentives can encourage compact cities. National and municipal policies can increase energy efficiency and promote cleaner energy sources for electrical generation, building and urban transport. The development of public, low-cost, low-carbon and diverse forms of public transport would offer viable alternatives to automobiles. With a great deal of new research in this area in the New Climate Economy report and Future Proofing Cities report, the establishment of the Ross Centre for Sustainable Cities, sees the World Resources Institute join a vibrant conversation around the world on sustainable cities. The Ross Centre builds on the work on the EMBARQ program, which for 12 years has successfully catalysed the impact of sustainable transportation and urban development projects. The Aqueduct program brings together expertise on water risks. The Governance Programme focuses on institutional transparency and accountability, while the Energy and Greenhouse Gas Protocol programmes work on energy and emissions respectively. The Centre will produce the next World Resources Report (WRR) in partnership with the World Bank, the United Nations Environment Programme and the United Nations Development Programme. It will focus on tackling the challenge of building cities in a sustainable and resilient way with a high standard of living. The report will inform and influence discussions at the HABITAT III conference in 2016, which aims to review and structure of the global urban agenda, proposing an alignment of planning objectives across different cities. The WRR underscores a paradigm shift in the way cities are portrayed in discussion on sustainable development. Historically considered a source of problems – major pollution and a concentration of human misery – cities are now seen as global problem-solvers. They are tackling the climate crisis, fostering sustainable growth and offering opportunities for a more equitable development pathway. ‘The road to hell is paved with good intentions” is how the old saying goes. We must make sure the road taken over the next decades by 2.5 billion new city dwellers is paved with the prospect of a life of dignity. Kitty van der Heijden is Director of the World Resources Institute Europe. 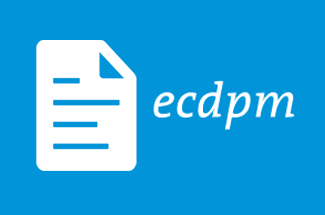 The views expressed here are those of the author and not necessarily those of ECDPM. 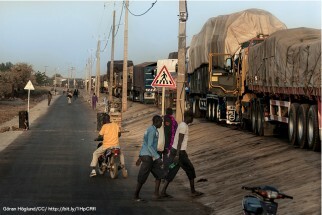 Photo courtesy of DfID via Flickr. Video courtesy of the TEDx Talks via YouTube. 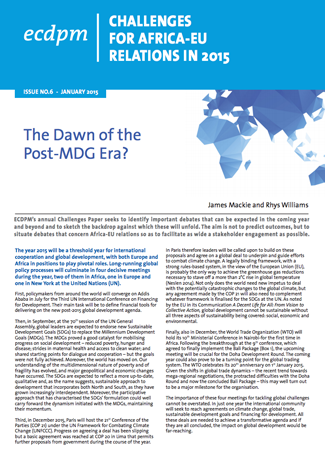 Read more about ECDPM’s annual ‘Challenges’ series here.